The largest sapphire fields in the Southern Hemisphere lie here, in Queensland’s Central Highlands: Anakie, Rubyvale, Sapphire and Willows. Like many of the wonders along the Tropic of Capricorn, the Sapphire Gemfields are a product of incredible time and drastic changes in climate and environment. 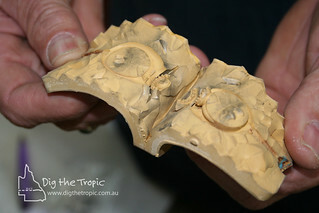 Visit DigTheTropic.com.au to find out more.